This project comprises the surrounds of a private House and the pool located in Eltham (Melbourne). Stone Culture installed 120 M2 of Random Porphyry Tiles (min Diagonal 250mm by 40/60mm thick) in a mosaic pattern. 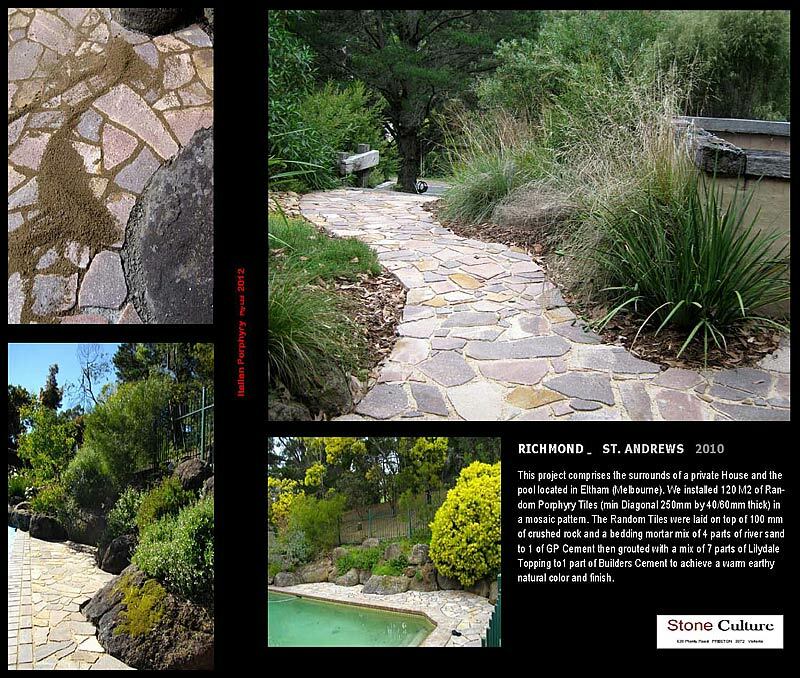 The Random Tiles were laid on top of 100 mm of crushed rock and a bedding mortar mix of 4 parts of river sand to 1 of GP Cement then grouted with a mix of 7 parts of Lilydale Topping to1 part of Builders Cement to achieve a natural color and finish.